Soundtrack to the 2008 musical comedy film of the same name. 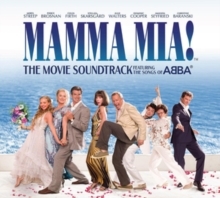 The album features 17 ABBA songs performed by the cast of the film, including 'Money, Money, Money', 'Mamma Mia', 'Dancing Queen', 'SOS', 'The Winner Takes It All', and many more. Performers include Meryl Streep, Amanda Seyfried, Pierce Brosnan, Dominic Cooper, Stellan Skarsgård, Colin Firth, Julie Walters, Christine Baranski, and several others. The album peaked at #5 in the UK Albums Chart.